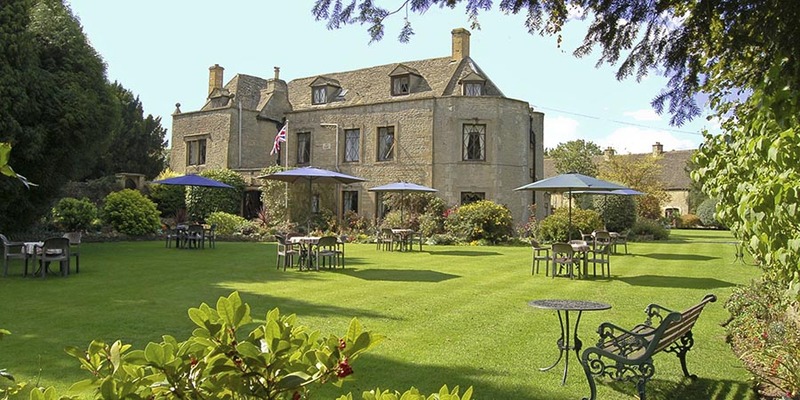 Hotels in the Cotswolds - Welcome to Stow Lodge Hotel - The Restaurant. The Hotel Restaurant is open daily to Residents or Non-Residents, for Breakfast, Sunday Lunch and Dinner. A Full English Breakfast is included in all rates, when staying at the hotel. A lighter Breakfast may be taken before 7.15am, but this must be ordered the evening before. The Sunday Lunch Menu is offered in the Bar and the Restaurant and offers a varied selection of Dishes, including Roast Beef, Roast Lamb and Roast Pork. Dinner is served in the Restaurant every evening, offering a varied Menu, that changes daily. You can choose one, two or three courses, depending on you appetite, but one course, must be a main course. The hotel has built a fine reputation for its cuisine with regular guests returning time and time again. The style is predominantly traditional English, but their are a few international dishes included, to add variation. 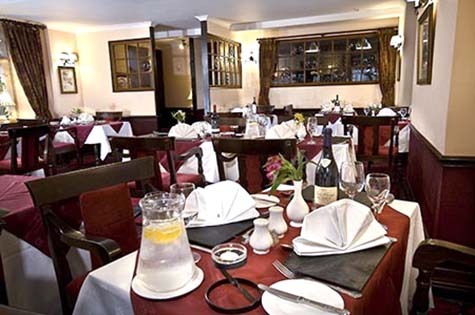 There are at least nine main courses on offer each evening, including three Vegetarian Dishes and a traditional Roast. Please view our two sample Menu's to see the type of dishes, that are on offer, each evening. To compliment your Dinner, we offer a selection of premium House Wines, available by the glass or bottle. Alternatively you can choose a wine from our interesting Wine List. We do recommend that you reserve your table in advance, to avoid disappointment. Especially during peak times. Sittings are offered at 7.00pm, 7.30pm and 8.00pm. During peak times we do offer an additional sitting at 8.30pm.